Heart, don't fail us now! Anastasia fans (a.k.a. Fanastasias) could not be more excited to see the 1997 film come to life with a whole new twist and score by Lynn Ahrens and Stephen Flaherty. Christy Altomare, who plays the titular role, has already proven that she can sing the beloved "Journey to the Past" and twirl in her rags. 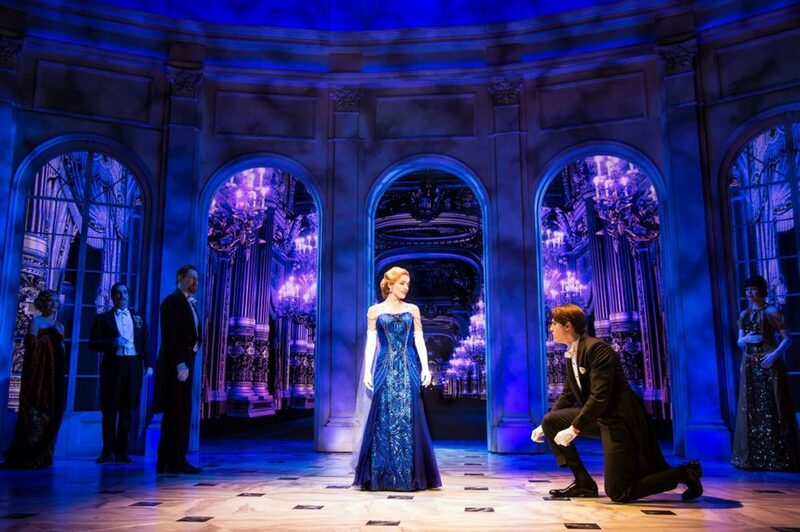 In this dazzling hot shot from the Broadway musical, fans can see that Altomare looks like royalty—and Derek Klena's Dmitry cleans up pretty nicely as well. Tony winner Linda Cho designed the magical costumes that are sure to "wow" Anastasia's audiences. We can't wait to go to the Broadhurst Theatre and watch this enchanting rags to riches story unfold! Anastasia is currently playing previews and officially opens on April 24.